Pinar Karsiyaka Izmir overwhelmed Besiktas Integral Forex Istanbul 77-105 in the teams’ Last 32 Group M opener. Karsiyaka set a club record in points scored, tied a Last 32 record with 18 three-pointers made and came within 1 point of the Last 32 mark for visiting teams. It outscored Besiktas in every quarter and collected 27 assists compared to 11 by the home side. Bobby Dixon led the way with 24 points on 7-of-10 three-point shooting; Karsiyaka as a whole only missed 13 shots from downtown. Kenny Gabriel added 16 points, 8 rebounds and 4 steals, Jon Dieblermade 4 of 7 threes and finished with 15 points, Juan Palacios and D.J. 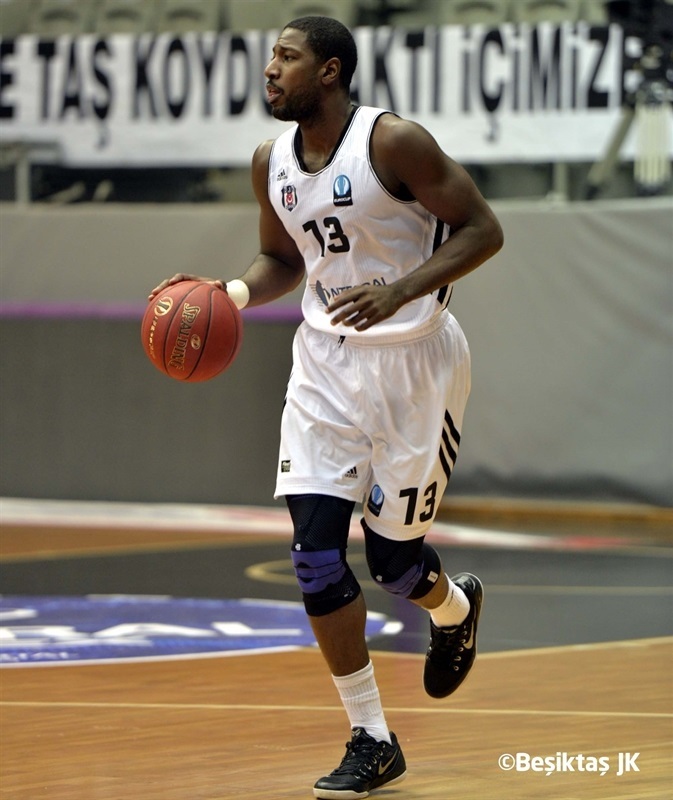 Strawberry scored 13 apiece and Soner Senturk scored 11. Engin Atsur led Besiktas with 22 points, John Holland scored 13 and Ryan Broekhoff 10, while the Europcup’s leading scorer, Chris Lofton, was held to 5 points. Diebler opened the scoring with a three-pointer for Karsiyaka before a Hilton Armstrong slam got Besiktas going. Gabriel got going with a jumper and a triple. Atsur hit from downtown for the hosts, but Diebler’s second three and a Gabriel bucket made it 5-13. Kenan Bajramovic kept Besiktas in the picture with a three. Atsur and Dixon traded threes and Bajramovic’s three-point play kept Besiktas within 5. Strawberry stepped up with 5 points in a 0-7 spurt that helped Karsiyaka to a 16-29 lead after 10 minutes. Karsiyaka doubled Besiktas up when Dixon opened the second quarter with a three. 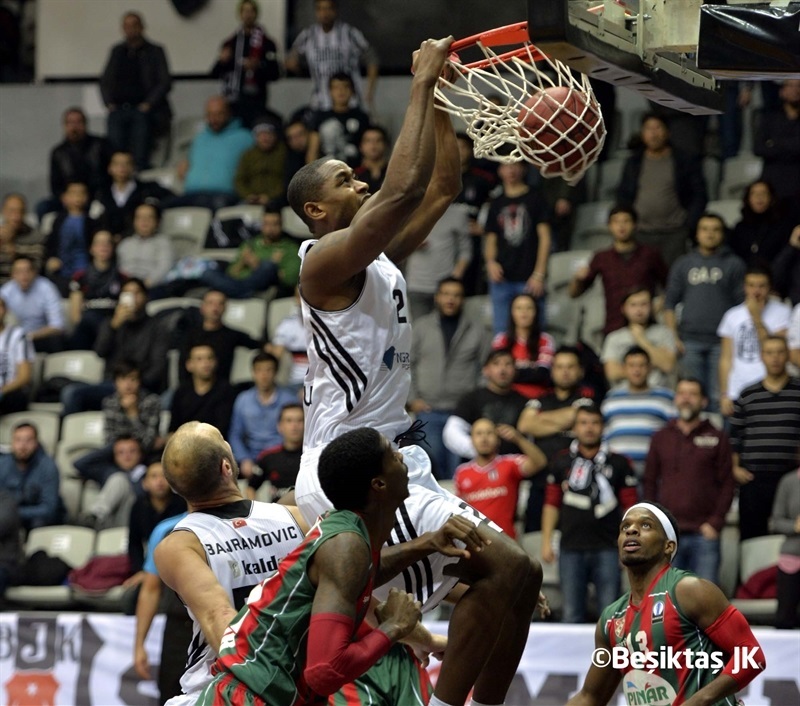 It was 20-35 when JaJuan Johnson heated up for Besiktas and carried the hosts within 8. Atsur added a three to make it 30-37. However, the Karsiyaka defense went on a lock down while Dixon, Gabriel and Strawberry connected on consecutive threes. Another Atsur triple ended a nearly four-minute scoring drought for Besiktas, but the hosts go no closer than 13 as Palacios ended the half with a mid0range shot for a 39-54 lead. Diebler and Bajramovic traded threes early in the second half. Lofton connected on his first three, but when Senturk connected from downtown, the Karsiyaka lead moved into the 20s at 45-66. Palacios soon had it at 25 and a pair of Dixon threes made it 51-80. Holland and Broekhoff sparked Besiktas, but Karsiyaka maintained a comfortable lead at 61-84 entering the fourth quarter. Gabrial and Dixon combined on the next 5 points. Patrick Miller and Broekhoff each hit threes in an 8-0 Besiktas run, but Sentuk and Dixon triples kept the Karsiyaka lead out of reach. Egemen Guven took the visitors to the 100-point mark as Karsiyaka celebrated an impressive victory. 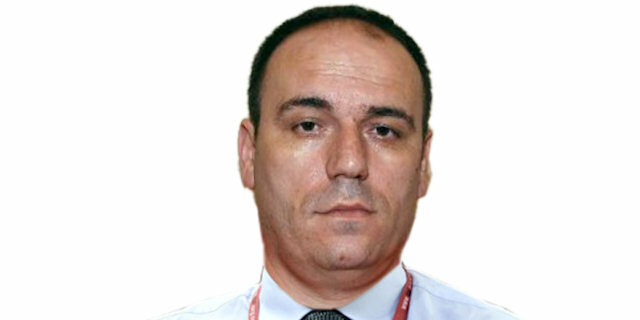 "Karsıyaka is such a tough team and they played so well tonight. We were in our bad day and we were tired, but we will be better again." "Winning on the road against Besiktas is so important for us. We made a great start to the Last 32. Each player knew his role and they played on this balance. I congratulate my players. " "It was a tough game against a good team. I don’t know what happened to us tonight but we played so bad. Maybe we were tired because of the game on Monday, but it cannot be an excuse for defeat. We need to play better in our next games."